That was the view from the W Hotel Boston‘s rooftop. 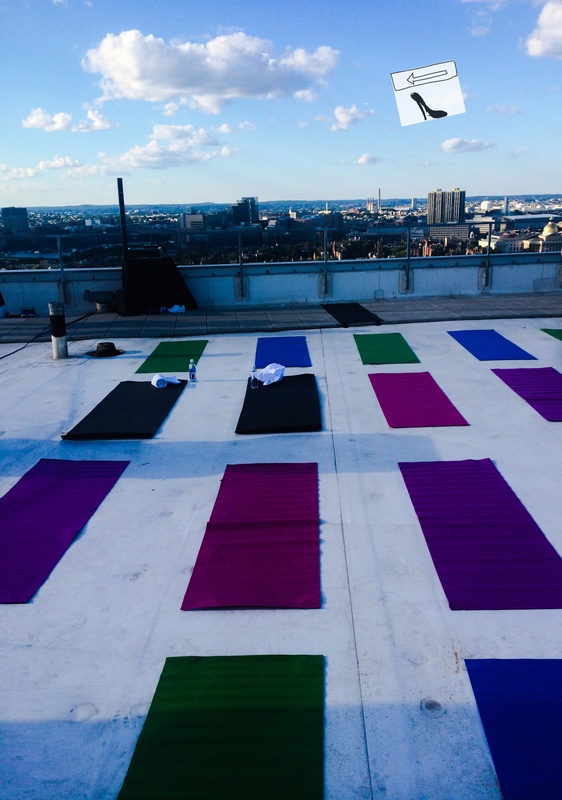 reversecommuter had the pleasure of doing Tara Stiles‘ yoga class, on the ROOFTOP of the W Hotel Boston (cool right?!). 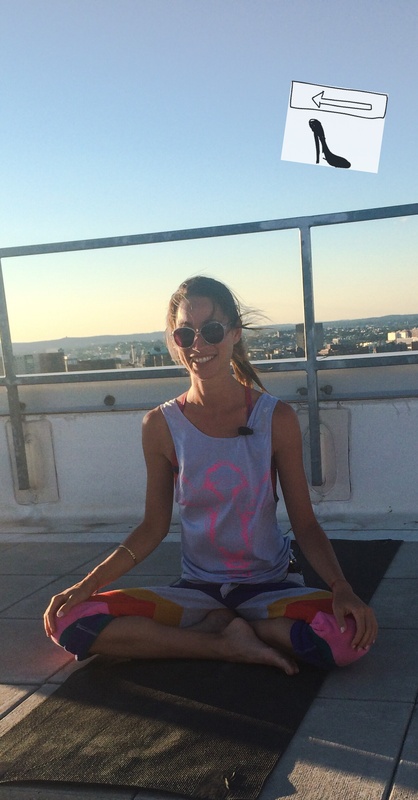 You don’t even know cool until you take The Yoga Rebel’s yoga class, on the rooftop of the W Hotel in Boston, listening to funky tunes, bending your body into contortions and being a rooftop warrior while watching planes fly by, all the while drooling over Tara’s UBER fab striped pants & cow face pose tank which she designed for REEBOK. reversecommuter was barely able to contain herself and not start online shopping on her iphone while on her yoga mat I was SO in love with this outfit -the pants sadly are not available, but the tank is mine! OMMMMMMMM! Click here to look at the current collection at REEBOK! #POSEWHENEVER is a new launch by W Hotels to get people to stretch, pose, workout wherever, whenever! Thank you W Hotel Boston! This entry was posted in Uncategorized and tagged #POSEWHENEVER, adidas by Stella McCartney, bombshell.com, Boston, boston fashion blog, fashion blog, fashion blogger, iPhone, Lucky, Lululemon, mommy blog, mommy blogger, mommy fashion blogger, NYC, online shopping, Patch.com, Reebok, rocketshell.com, rooftop warriors, rooftop yoga, Strala yoga, suburban fashion blog, suburbanly challenged, Tara Stiles, W Hotel, W Hotel Boston, workout wear, yoga, yoga mat by reversecommuter. Bookmark the permalink. Thanks Zoe, for the compliment and the follow!